If you have not yet installed an FMCSA approved electronic logging device (ELD) in your truck, consider Blue Ink BIT ELD. If you are looking for simplicity in terms of design and functionality or just affordability, this device is a great choice. A considerable number of owner operators and owners of small fleets have expressed their concern with the currently high ELD process in the country. The main problem for such drivers is the relatively high monthly fees charges by most of the leading ELD providers. However, you do not have to incur these hefty fees for you to comply with FMCSA ELD regulations. In such a case, you should consider buying the leading ELD devices that are compliant with the ELD mandate and comparatively affordable. The Blue Ink BIT ELD, for instance, is an affordable device to buy and does not require you to pay any monthly fees. However, this electronic logging device is not preferred by thousands of truck drivers and owners just because of its affordability. This product has a horde of features and benefits to offer, as you will learn throughout this review. 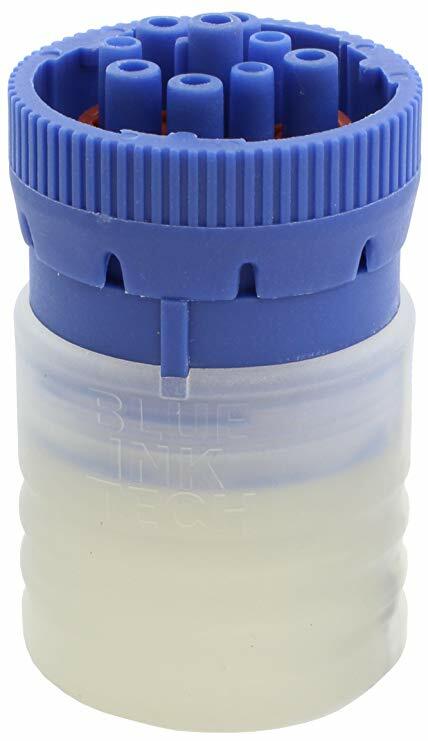 The Blue Ink BIT ELD device is offered by Blue Ink Technologies and happens to be one of the most affordable ELD mandate compliance devices available today. Essentially, the manufacturer only requires you to pay an affordable upfront cost, about $295. For this one-time cost, you will get the ELD hardware and access to Blue Ink Tech ELD portal. The Blue Ink BIT ELD Mobile App that should be used with the hardware is free to download on both Google Play Store and Apple App Store. Other than the initial hardware price, you will not be required to pay anything else—ever. The ELD hardware itself is designed to offer enhanced compatibility and reliable performance. Additionally, the product has all the basic features that you will need for FMCSA’s ELD mandate compliance in your truck. Owing to its simplistic design, this electronic logging device only offers the basic FMCSA mandate compliance features. The Blue Ink BIT ELD device is one of the most popular ELD devices among truck drivers and owners in the country. This may be attributed to the effectiveness of the device as well as its remarkable affordability. This functionality of the device is mainly used to automatically record important events in the vehicle the device is installed. In this regard, the device will automatically add a record to the ELD logs whenever the engine is turned on or off. For enhanced convenience and accuracy of your logs, this device will automatically change your duty status to “Driving” whenever the vehicle exceeds a speed of 5 mph. If you stop the truck and fail to change the duty status manually, the device will change it automatically, after 6 minutes, to On Duty Not Driving. This being the case, you do not need to change your Duty Status every now and then. The ELD device will do that for you. This functionality is meant to associate a driver’s driving records with the vehicle he or she is driving at any given time. If you moved your Blue Ink BIT ELD device to a different vehicle, it will read the new VIN. In such a case, the ELD will automatically use the new VIN in your logs. Engine hour and Odometer readings collected by the device are used to automatically fill the relevant fields in your driver logs. Under normal circumstances, your records will be collected and uploaded to the Blue Ink BIT App in your tablet or Smartphone for storage. While this is the case, the ELD device is equipped with an internal memory. This memory is used to store events and logs whenever the device is not connected to the BIT ELD App. In such a case, the recorded data is associated with “Unidentified Driver” account. As mentioned earlier in this review, affordability is one of the aspects truck drivers and owners love about this product. In this regard, the ELD provider only requires you to pay an upfront cost for the hardware. In order to get the installation hardware, you need to pay a one-time cost of $295. Having paid the initial cost, you will not be required any monthly fees to use the features and tools offered by this ELD. With this ELD provider, you will never incur any hidden costs when buying your BIT ELD device. For enhanced compatibility, the manufacturer offers different connection cables for the device. In this regard, you need to choose the right connector (Either 9 pin or 6 pin) during purchase. The right connector depends on the type of diagnostic port you have in your vehicle. If you would like to have an adapter splitter or have an OBD-II connection in your vehicle, you will be required to buy the appropriate connector separately. This connector is not sold with the ELD hardware. As such, you need to pay an additional $40 for this connector. With this connector in place, your mechanic will be able to plug a diagnostic monitor to your vehicle without having to unplug the ELD. Such aspects make the Blue Ink BIT ELD versatile and compatible with almost all truck makes and models in use today. 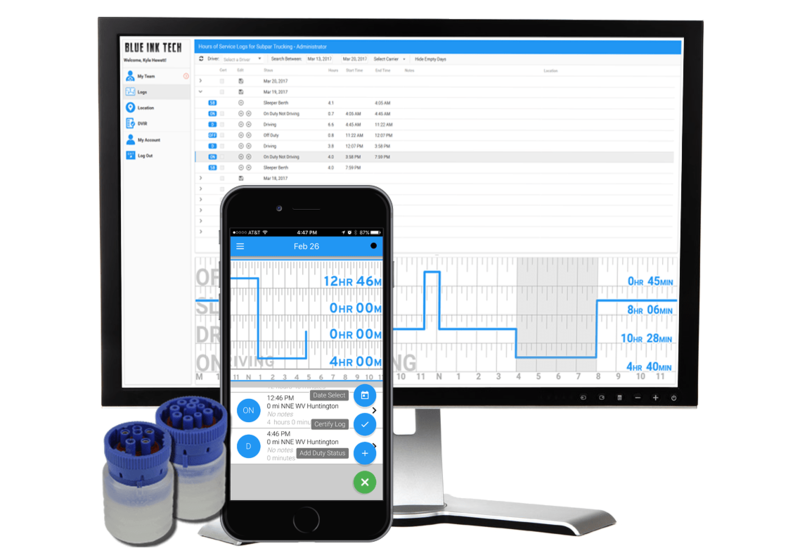 While the Blue Ink BIT ELD device hardware comes at a cost, the BIT ELD App and Web Dashboard by this provider are free to use. 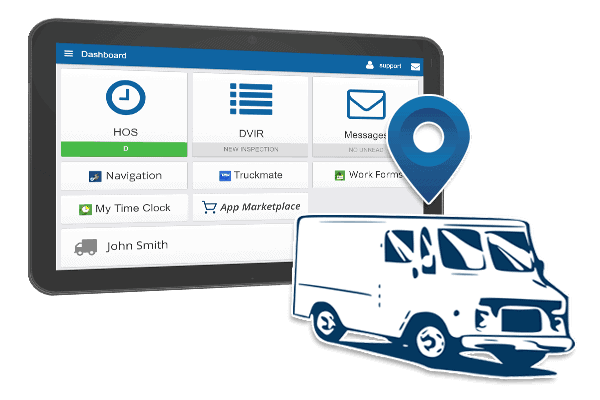 Any of the drivers and fleet managers who are already using this ELD solution will tell you that it is relatively easy to use. For instance, the unit allows you to easily change your Duty Status. Similarly, you will find it rather easy to certify your logs every day. In this regard, you are only required to click to certify your logs. With the BIT App installed in your mobile device, you will have access to a comprehensive dashboard that is renowned for its enhanced ease of use. From this dashboard, you can easily tell the number of driving hours you still have for the day. Having been built to work with different cycle rules, this device shows you the cycle times as well as your current shift status. This efficiency and enhanced ease of use of the Blue Ink BIT ELD may be attributed to its unique set of features and an easy-to-use interface. Discussed below are some of the important features you should expect to get from this device. Despite its affordability, you will find the ELD device by this provider quite robust and easy to install. The device itself is designed to be usable on almost any commercial vehicle. In this regard, the product comes with either a 6 pin or a 9 pin connector; depending on the type of diagnostic port you have in your vehicle. Additionally, the hardware by this provider features a sturdy construction for enhanced durability. You will also be amazed by how easy this hardware is easy t install in your vehicle. As a matter of fact, you can unplug it and install it in a different vehicle in matter of minutes; whenever you are changing vehicles. With the Blue Ink BIT ELD, you do not need to pay a professional to install the device in your vehicle. To install this product, you should just plug the ELD device onto the diagnostic port in your vehicle using the right connector cable. This should take you a few minutes, if not seconds. 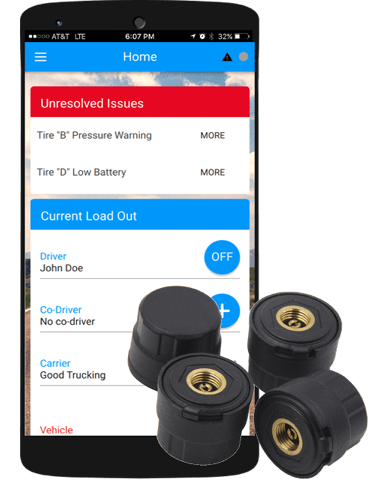 With the ELD connected to the diagnostic port, you should download and install the BIT Mobile App into your tablet or Smartphone. Depending on the type of mobile device you are using, you can download this App from Google Play Store or Apple App Store. You should then tether the ELD device to the Mobile App wirelessly. This may be accomplished using Bluetooth. The electronic logging device mobile app by Blue Ink Tech is one of the most preferred No monthly fee ELD Apps today. 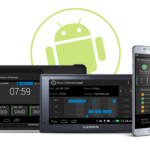 This app is relatively easy to use and is packed with an array of features for FMCSA ELD mandate compliance. 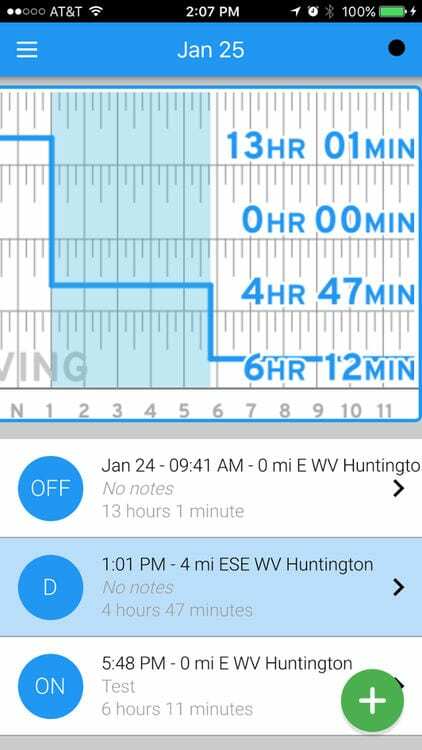 With this app installed in your phone or tablet and connected to the ELD device in your vehicle, you will be able to keep track of your hours of service (HOS). You will also like the fact that the logs are fully editable on this device. According to thousands of drivers who are already using this App, the App helps them avoid HOS violations and unnecessary tickets. This App was primarily designed to help drivers collect and store the necessary vehicle data for DOT and FMCSA compliance. Give you in-App fault codes on potential engine problems based on diagnostic data. As you may be aware, this ELD solution is best suited for owner operators and small fleets. As such, it comes with an array of back office tools and capabilities that are specifically meant for fleet management. The BlueInkTech.com web portal for instance is user friendly and has many features that are beneficial to drivers as well as fleet managers. Additionally, this portal also has an array of tools and features that are beneficial to fleet managers and dispatchers in small fleets. 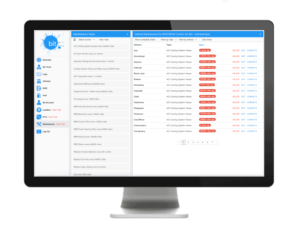 Get notifications on potential violations by the various drivers in your fleet. As a fleet manager, this portal gives you an opportunity to be proactive with vehicle maintenance in your fleet. In this regard, you can easily get fault codes, DVIRs and maintenance schedules of the various vehicles from this portal. If you own one or two trucks, you need to keep your expenses in check for you to profit from the business. This is why most owner operators today cannot afford to pay he hefty monthly fees charged by some of the leading ELD providers in the industry. If you are such a truck driver or owner, you can definitely benefit from the affordability of the Blue Ink BIT ELD. The innovative solution is simple in design; hence easy to install and use. With this ELD solution, you will be in FMCSA compliance and be able to use this device's reliable fleet management features and tools. Born into a family of truckers, Jeff is quite knowledgeable about the freight and trucking industry. He realized that many truck drivers and fleet owners seek advice about ELD devices, and so he wanted to create this resource for anyone seeking information. I’m Jeff. A fellow CDL driver & ex-dispatcher. I come from a family of over-the-road drivers. Let me help you choose the right ELD solution for you or your fleet. 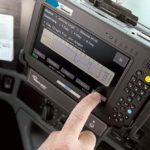 BestELDDevices.com strives to assist drivers and fleet owners become compliant with the congressionally mandated electronic logging device (ELD) rule. Our experts will help you pick the right device and plan that fits your specific needs. Master ELD Review – Is This Affordable Device Also Reliable? 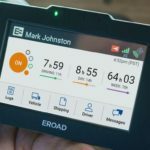 EROAD ELD Review – Is It Really The Most Cost Effective Device? If you are an ELD provider, we’d love to speak with you. 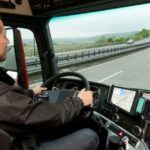 Our site is one of the largest and most dedicated resources for electronic logging device advice. Get your brand’s name out there. ® 2018-2019 BestELDDevices. All rights reserved.